Muslims in the U.S. are not as numerous as the number of Americans who identify as Jewish by religion, according to our estimate. 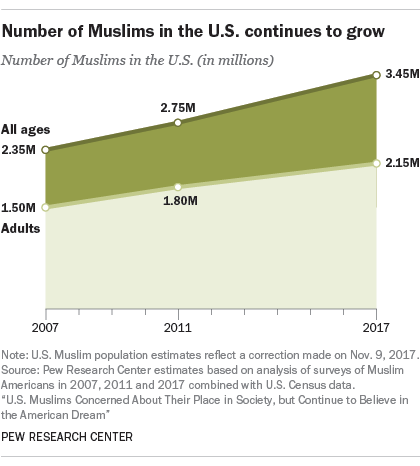 At the same time, our projections suggest that the U.S. Muslim population will grow much faster than the country’s Jewish population. By 2040, Muslims will replace Jews as the nation’s second-largest religious group after Christians. And by 2050, the U.S. Muslim population is projected to reach 8.1 million, or 2.1% of the nation’s total population — nearly twice the share of today. Muslims are not evenly distributed around the country. 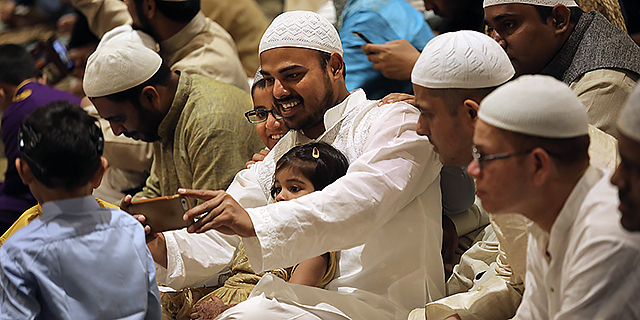 Some metro areas, such as Washington, D.C., have sizable Muslim communities. Likewise, certain states, such as New Jersey, are home to two or three times as many Muslim adults per capita as the national average. But there are also states and counties with far fewer Muslims.